When a roof begins to blister, it may not be providing your building with the protection that you need or expect. Some blisters are expected to occur as the roof ages and is exposed to heat and other elements over long periods of time. Once the blisters begin to build up and worsen, you will eventually have to make the decision as to whether or not they should are ready for repair or even replace. If the blisters have begun to crack and create openings in the roof, this problem needs to be reconciled very soon. If there has been an excessive loss of the gravel surfacing, or noticeable deterioration, or the blisters are occurring in areas that affect the lap coverage of the roof, these are also indications that it is time for a repair. When roof blisters are present, you have a decision to make. You can hire a contractor to remove and replace the problem area of roofing, patch the area, or simply monitor the problem for the time being. If the blisters have not deteriorated the membrane of the roof, or created any cracks, the roof may be safe at this moment. 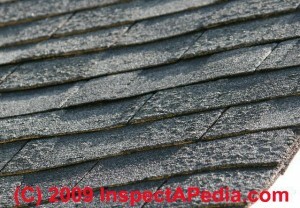 Click here to get a free estimate from Juneau Odenwald Roofing on a repair. If the blisters are still holding air, then they are still keeping liquid out as well. Therefore, removing the blisters may not be a large priority until the problem worsens. If the blistering problem is severe, the defective area should be completely removed, as well as an additional two feet of surrounding area. Once the blistered area has been carefully removed, and the membrane is reached, the area should be inspected for any signs of water damage. Any insulation or other materials that have been damaged should be removed and replaced before continuing with the repair. Although it’s fairly easy to search and find articles about how to repair roof blisters on your own, our suggestion is you reach out to a local, New Orleans based licensed roofing contractor and ask for an estimate. Simply repairing the blister does not necessarily treat the reason the blister developed in the first place, and you may wind up only temporarily delaying more damage or repairs.